Charles Sanford Porter in The Milk Diet and Bernarr Macfadden in The Miracle of Milk wrote popular how-to books on curing chronic diseases with milk. Porter and Macfadden even collaborated on a third publication also titledThe Miracle of Milk, a rare collection of pamphlets on the milk diet. In these books they answer common questions of their patients and they provide powerful testimonials about the healing power of milk. I am joining forces and starting the 10 day Milk Cure. We are beginning March 1st and finishing March 10th. I have a few health reasons for wanting to do this right now. The hope is to drink 6 ounces every hour (stopping at 8 pm). This helps cut out any food cravings. I am not a huge milk drinker so this is going to be tough. 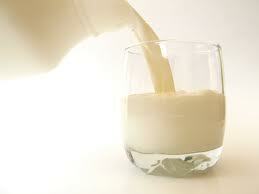 I leave the raw milk drinking to the boys. But here goes. I have some plaguing health concerns that have just surfaced the last week, so this may be the perfect time for me. I am also hoping this really helps stabilize my blood sugar, which has seemed to work for others in the past. I am excited and nervous. I will do updates from Days 1-4, Days 5-8, Days 9-12. I may extend mine a few days if I am feeling great.